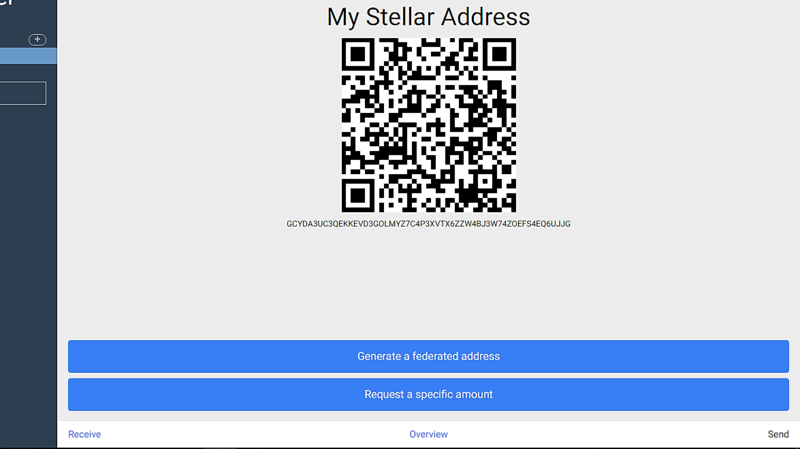 Today I tested two other wallets: Stellar Desktop Client and Stargazer. I had previously tested Centaurus and Stargazer on my Android, but this time I decided to test Stargazer on the desktop and provide a few more details about this wallet. This wallet is available for download on Windows, Mac and Linux. 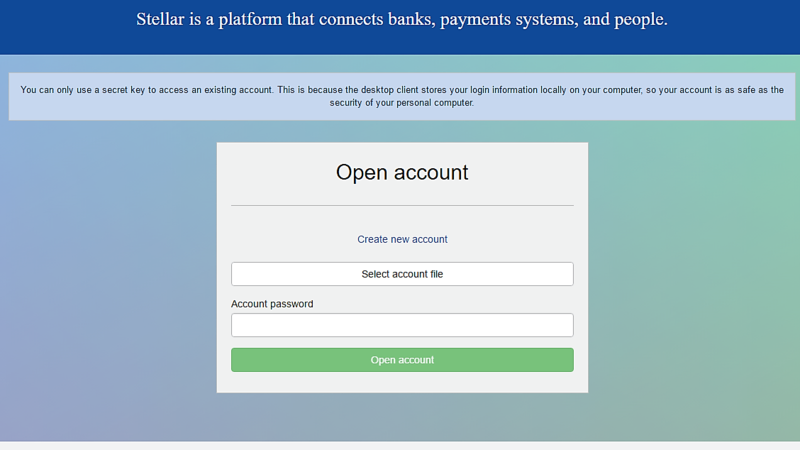 It allows the user to create an account with the secret key, create a new empty account or open an existing one that was saved on the computer as a file. This wallet provides the user’s balance, assets (XLM, EUR) and trust limits. It also has the options to send assets directly to other accounts, trust anchors and shows the latest payments and transactions. Some advantages about this wallet must be mentioned. 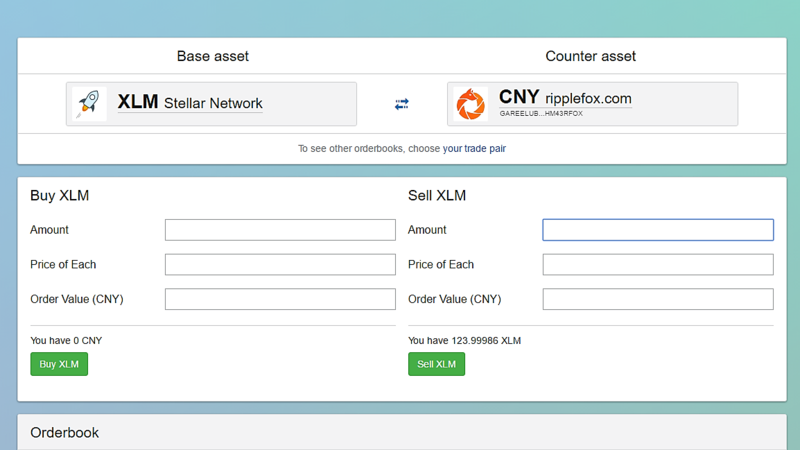 First of all, not only it’s a trading client such as Stellar Term, but it also permits the user to send assets to other users, what Stellar Term doesn’t have. 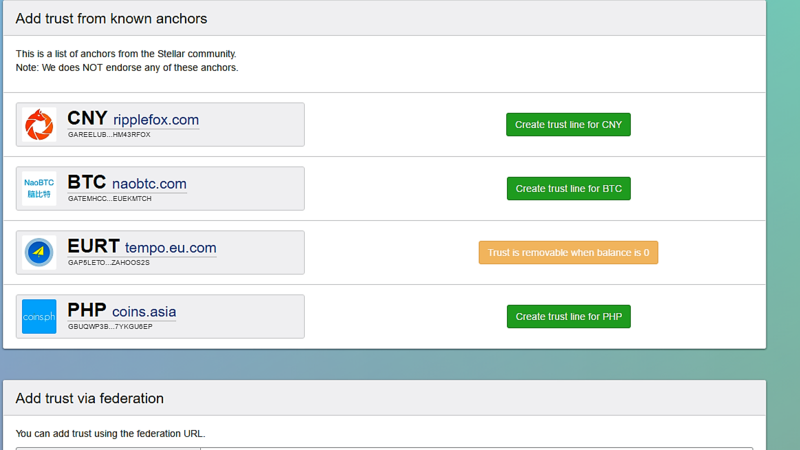 Second advantage is that it already gives a list of a few known anchors to create a trust line with, different than Ecliptic for example. 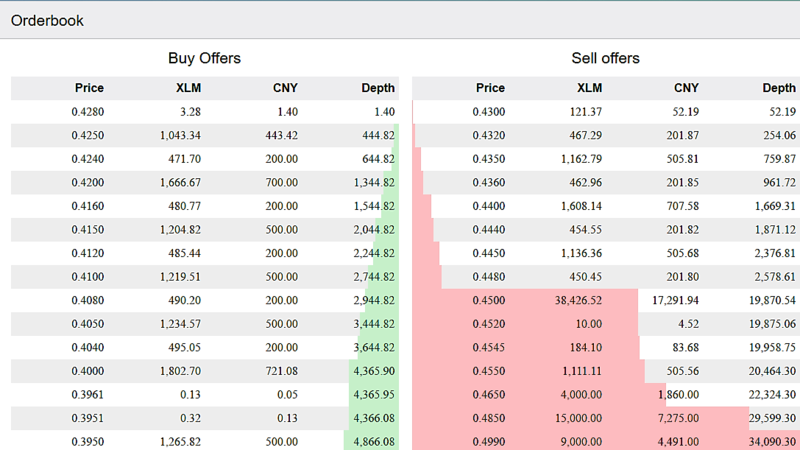 Stellar Term has a few more popular exchange market options (with anchors), but doesn’t offer much advantage compared to Stellar Desktop Client. 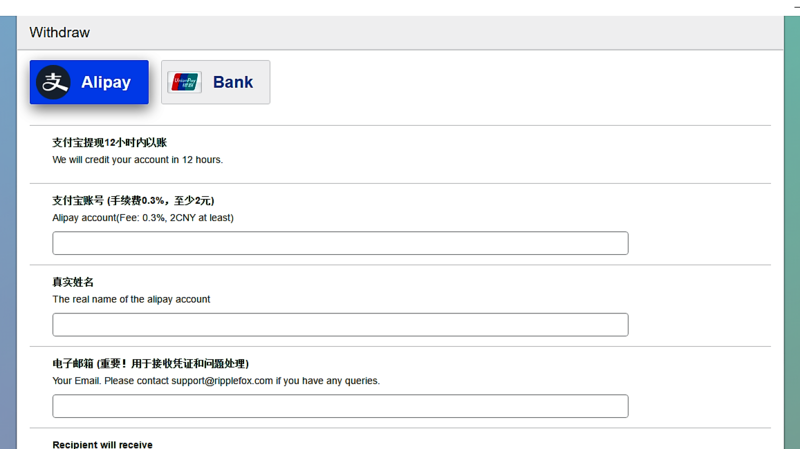 Lastly, I think is relevant to mention that this wallet has the option to deposit or withdraw funds. This option is not provided by other wallets that I tested so far, and it’s really interesting for users who want to send money directly to bank accounts, either for personal ones, relatives that live abroad, friends. Unfortunately it’s still limited only to Chinese yuan (CNY) asset, so it can only be withdrawn on Banks in China or using Alipay. Still, this is a great option, and I hope soon it can be transferred in more assets and to more countries. The download process of Stargazer on the Desktop is really simple. It already opens an empty account that requires minimum of 20 XLM to activate it. However, it’s relevant to notice that it doesn’t allow the user to send money to other accounts if it just has 20 XLM on the account, because it needs to have always some amount. 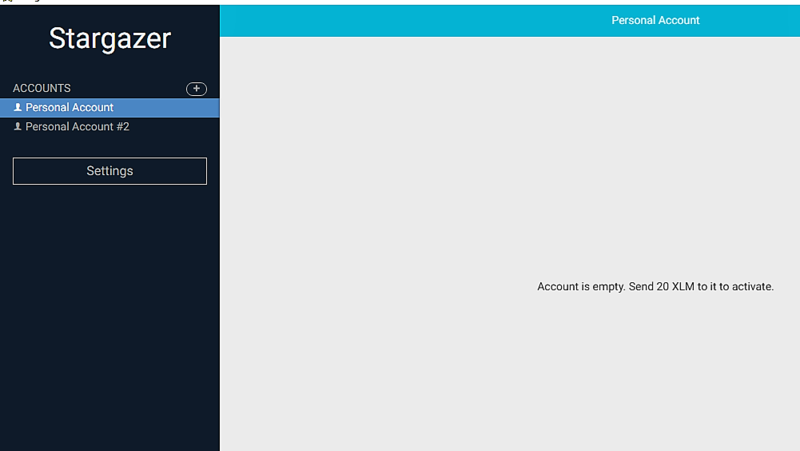 This is a rule for most, if not all the wallets, and it’s tricky if the user wants to delete the account and recover this Lumens, as he/she can’t send everything and leave the account empty. 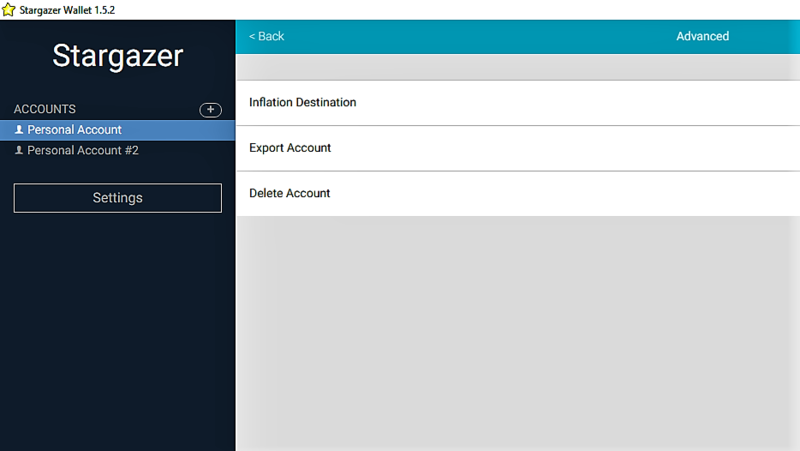 Stargazer has the options to create a federated name to the account, add anchors to create trust lines, export the account with a QR Code provided and set an inflation destination. The problem of the QR Code instead of the secret key to export the account is that it’s complicated to copy and transfer it. To receive assets the user also has to provide either the QR Code for scanning, the public address shown under it or the federated name. As I explained in a previous article, the federated name probably won’t be recognized as a valid destination address if the sender has an account in a wallet that doesn’t support federated names. 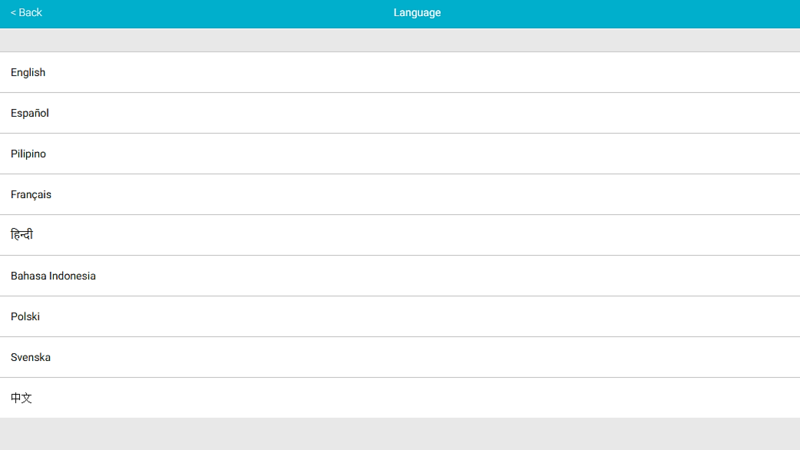 Lastly, it has many language options, different than Stellar Desktop Client that only offers English and Chinese as languages. This is a benefit aspect considering that wallet users and potential users come from diverse countries. What is this address??? GBTCBCWLE6YVTR5Y5RRZC36Z37OH22G773HECWEIZTZJSN4WTG3CSOES??? It is all over the screen shots on wallet.stellar.chat , over 78k of my lumens were sent there and I am trying to recover them! When I sent the Lumens I input a receiving address from my BTC.com wallet, and the above address was generated in the stellar desktop client? I see them on the ledger. But I cannot figure out how to access them, or have them sent back? This is driving me insane, any help you have would be awesome! how do we back up this Wallet? ScottLathwood With Stargazer you can export the QR code of the account seed and print it out or just back up the whole app folder. I think that Stellar Desktop Client lets you choose a filename where it keeps the secret key. So you back up this file.